You know how academic journals have an abstract? (aka, a short gist of the topic?) THAT'S WHY I PUT THE HASHTAGS AT THE BEGINNING OF THE POST, JA FEEL? But yeah, if you didn't notice, I've been on a downhill streak since my ~liner-off~ post and MIA for a while (reading and responding to blogs), and I know some of you guys are happy because yay, I'm another blog you don't have to read. BUT TOO BAD, YOU'RE GONNA READ ABOUT WHAT I'VE BEEN UP TO, AND WHY I'VE BEEN A BIT MIA, YEAH? Between having existential crises and stress-induced breakdowns, I've engaged in loads of retail therapy and family/friend outings. 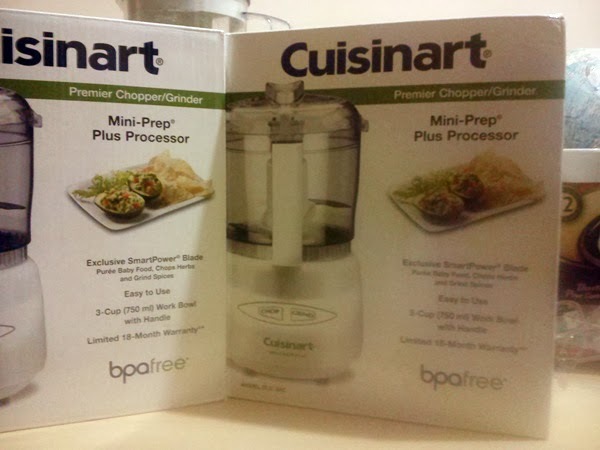 AT THE END OF THE SHOW THEY WERE GIVING OUT FREE MINI FOOD PROCESSORS. LIKE CANDY I SAY. LIKE CANDY!!! 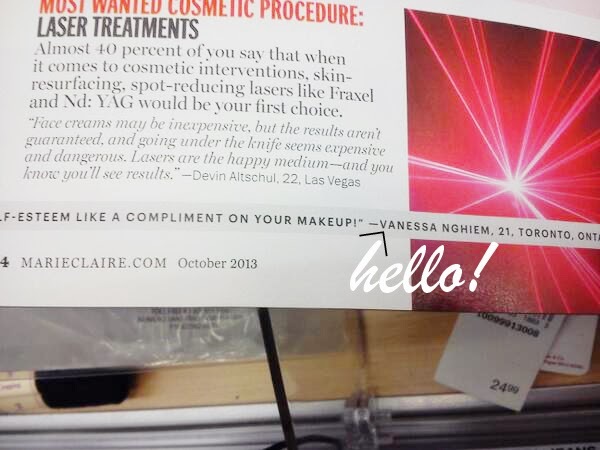 My name is also in this month's (October's) issue of Marie Claire! And of course, the retail therapy. ...needless to say, I ran out of Canadian Tire...just in case. Being 21 so far has been about being indecisive as to what to buy, and ending up buying the most random and useless items. 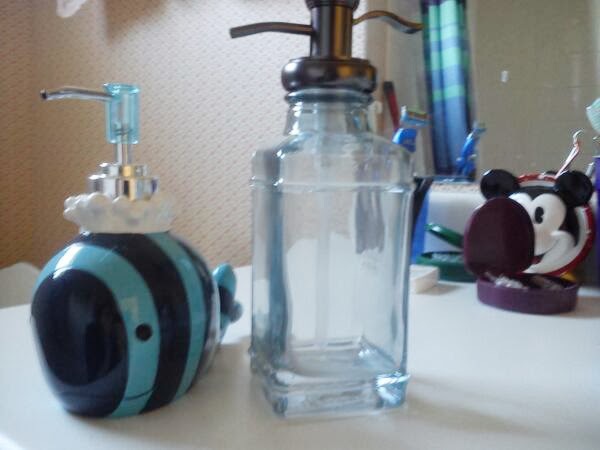 Case and point, I bought two soap pumps. And since I put myself on a makeup spending ban for the month of October, I bought Christmas candles from Bath and Body Works instead. They smell absolutely divine. 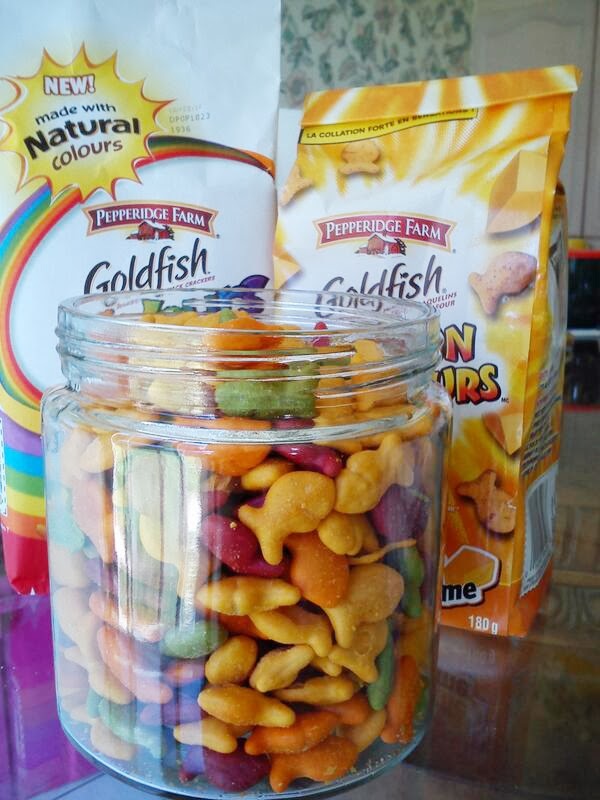 Now I can have even fancier tea parties with my dog with all those goldfish crackers, Halloween plates and Christmas candles burning in the background. omg halloween update?D: I got rid of app since it was consuming my life literally lol! OH. School stress, don't even. I'm up to my ears in papers, tests, and group projects with partners who slack. Sunday, I seriously could not write anymore and I needed to get started on another paper. I just couldn't get myself to type...so I went to Macy's and bought both naked palettes since stress makes me indecisive. 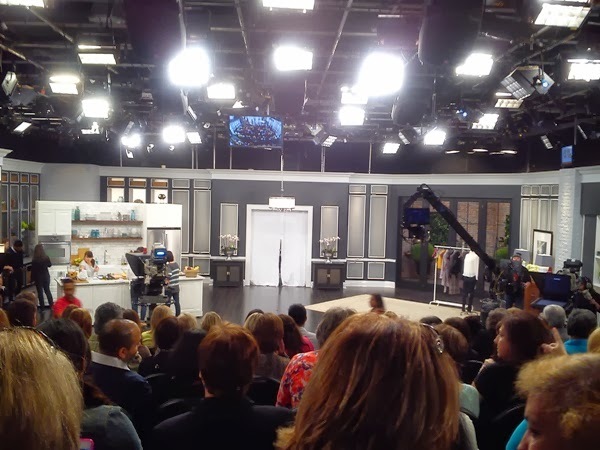 Yeah, we went to the season premiere of one of the talk shows, so maybe that's why we got fancier items? The one talk show I'd like to go on would be the Jeremy Kyle show, its so ridiculously funny since it's about chavvy teethless alcoholics that argue about whether someone cheated on them or not... The arguments they have on that show is just priceless! DATS SO AWESOME your names actually been published in the magazine! And excuse me please but that is not a s--t photo you look lovely! Omg going to those sets mustve been so exciting and having your name in a magazine! 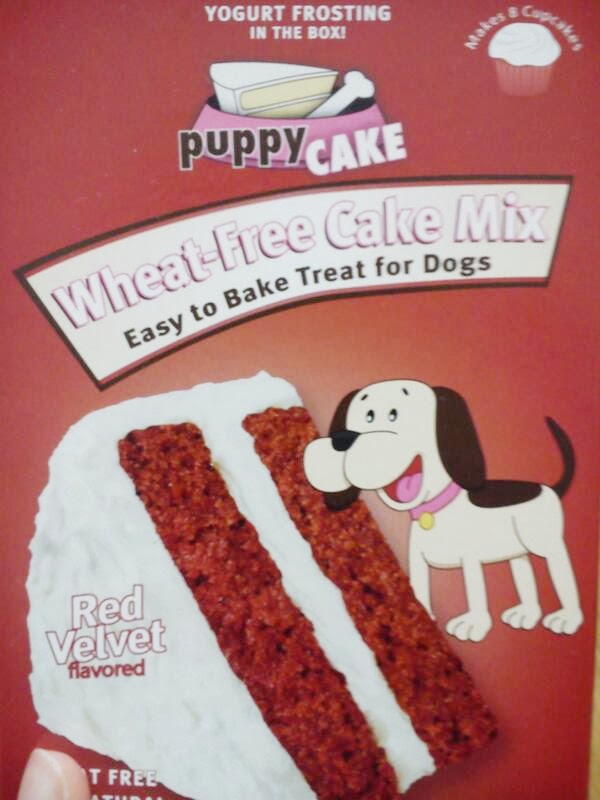 never heard of doggy cake before!!! 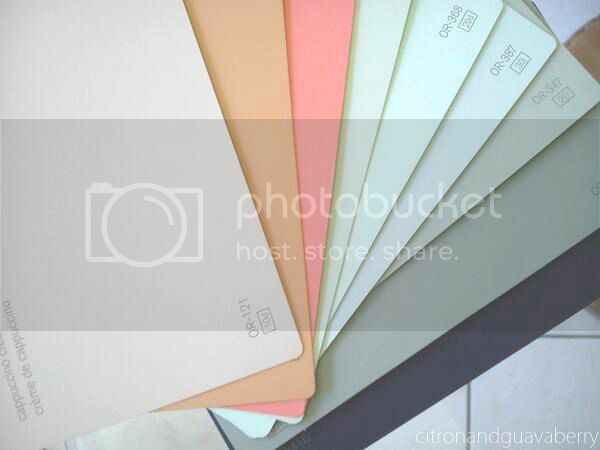 how to you make it???? They're Canadians shows so I'm not sure if they're aired elsewhere! I love reading random posts like this. Oh my. They were giving out food processors like candies. Did your mum know about these freebies before this? I don't mind attending these day shows for the freebies. When I watch Ellen and The Oprah Winfrey show, I wondered how on earth shows like these could give out such expensive stuff like they were well, candies. You are famous! You got yourself quoted in Marie Claire. Wow! Ah, I like that fat Pusheen cat. 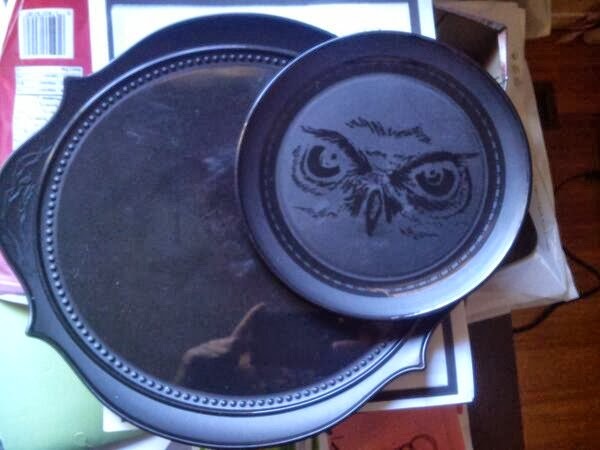 The owl reminds me of Harry Potter somehow. 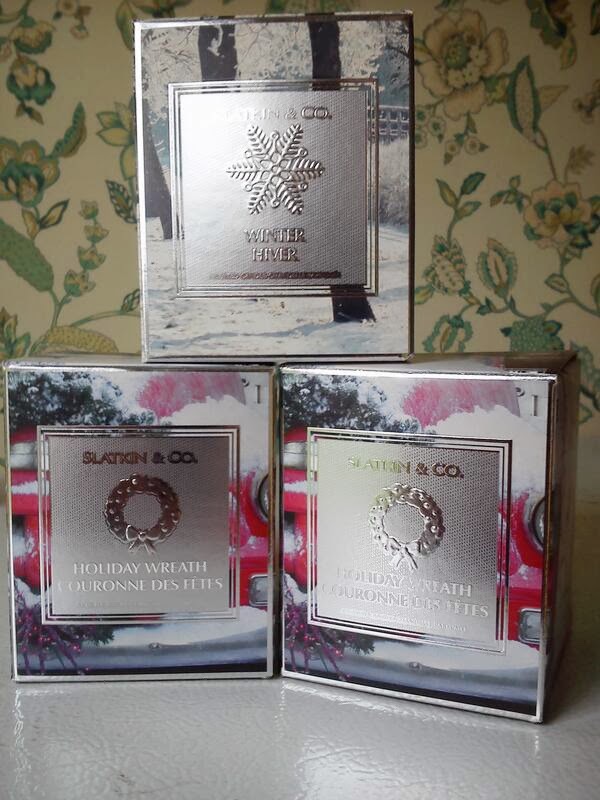 I can already imagine how heavenly your candles from B&B would smell. I'm not even a bath and body person and the very first time I stepped into a B&B store in NYC, I felt that was my heaven. My sis is addicted to the Simpson game too and always getting people to add her. I watch Simpsons but I do not wanna get hooked onto another game. I love finding people who love Audrey Kawasaki. Are you intending to take bike lessons? That would be very cool. Do keep me updated on this! I don't have the support of my family and my hubby back then and hence learning on the sly. Hahaha... my intention was really to get to nearby places with the vespa, otherwise it would be the car or public transport for me. NOPE, we definitely did not expect them to give us food processors! AND SAME, I THINK THAT'S WHY WE'RE ADDICTED TO GOING TO SHOWS NOW- ALL THE FREEBIES! Sponsorship! Oprah/Ellen are sponsored by large companies, so they can give out decent freebies! Haha, I agree! Bath and BodyWorks is definitely heavenly in there, so many scents to choose from! THE SIMPSONS GAME IS VERY, VERY ADDICTIVE. In my opinion! It helps if your friends are also playing, because then you're addicted together! I haven't kept up with her work in years, but the way she draws faces is stunning! As I grow older, I'm a little reluctant to take lessons because I'm so used to driving in a car! Vespas are so cute and convenient! That's so cool! I just saw The Steve and Chris show for the first time last week, it's exciting that you got to see the filming. As a fellow Canadian, I find this all HIGHLY exciting!! I would totally let my mom drag me around to talk shows if she wanted to! LIKEWISE! I'm constantly in awe of what food processors can do! I should try making hummus in mine! OMG so cool that ur name was in marie claire!!! !